We’re five months out from our programme launch next February, which is starting to feel like rather a short time, and there’s excitement in the air already. Our focus at this stage is funding – we have a big programme lined up for 2019, including some very high-calibre national performers and an expanded programme of community events. Help us make this bigger and bolder festival happen! Read about becoming a Patron, Benefactor or Sponsor of the 2019 Festival of Colour below, and join us in bringing the best of arts and ideas to our community. The 2019 Festival of Colour will take place from April 2 to 7 – save the dates. The first Aspiring Conversations podcast is online now! Our first podcast from the 2018 Aspiring Conversations is up and running, and ready for listening. 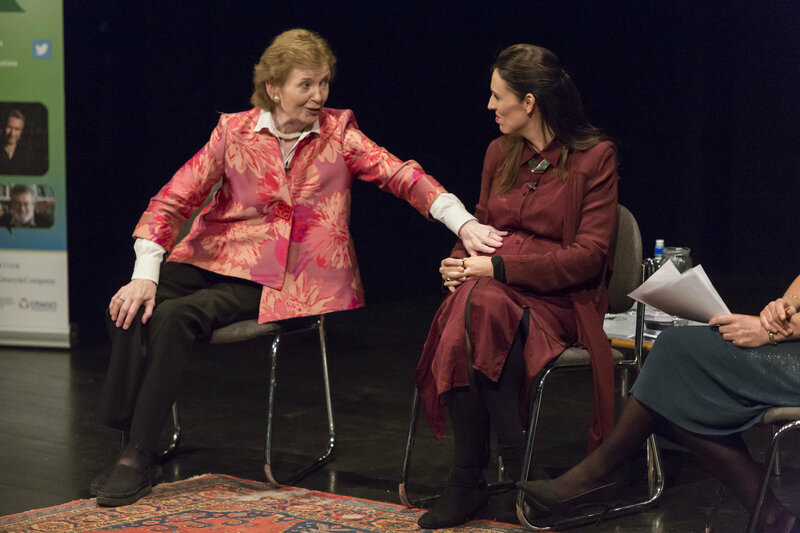 We have posted ‘Working for Change’, the fascinating conversation between Prime Minister Jacinda Ardern and former President of Ireland Mary Robinson, on our YouTube channel. Watch this space to hear about future uploads, or even better, subscribe to the Festival of Colour YouTube channel to be the first to hear about new audio and video. 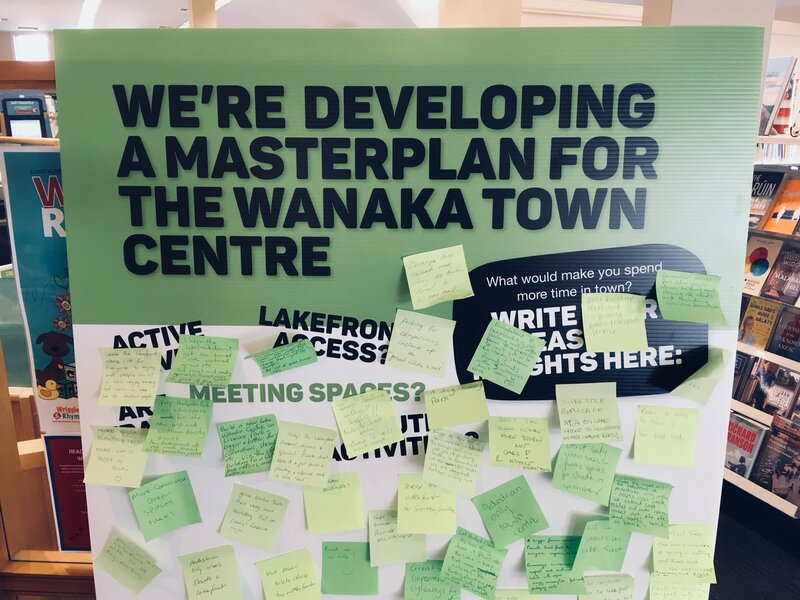 As part of the Wanaka Masterplan process, the Queenstown Lakes District Council is asking for feedback about what Upper Clutha residents want out of the Wanaka town centre now and in years to come. Give your feedback on the Wanaka Masterplan here. 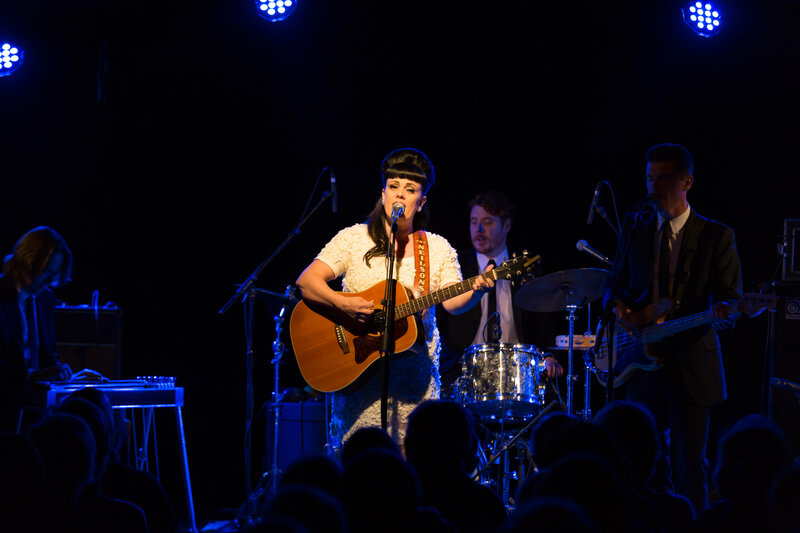 We would like to encourage local lovers of the arts, such as you, our audiences and supporters, to ask council to ensure we have adequate and accessible facilities for the arts, including for exhibitions and performances, in the town centre.We are continually working with council around improving and expanding the venues we have in our community – let’s make sure it stays on the QLDC’s agenda! Not the digital type? You can also contribute in person through the “Have Your Say” boards at the Wanaka Recreation Centre and Wanaka Library. The Nukes are back, and we have free tickets to give away! 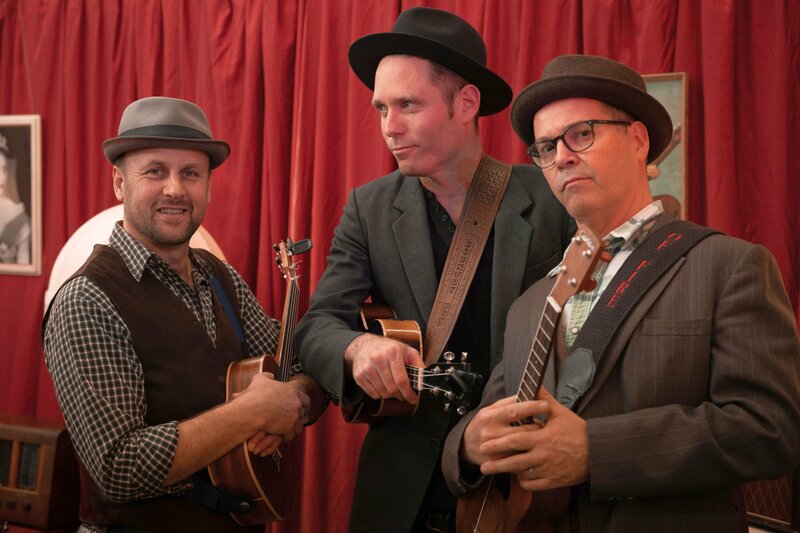 The ukulele trio were a hit with our audiences and the kids in our school programme in 2017, and they’re playing this Sunday, September 23 at Lake Hawea Community Centre – there’s a 4pm workshop for adults and school children and an all-ages show at 6pm. It’s the group’s first time back in Wanaka since they were here for the Festival of Colour. The “new Nukes” have one new member, and call their show “part vaudeville, part rat-pack, part musical car crash”. Tickets from Eventfinda, or in person at Sailz Lake Hawea, OCD Cafe, Wanaka Medical Centre and Mitre 10 Wanaka. And, we have a FREE double pass to give away for the show – to be in to win, head over to the Festival of Colour Facebook page, like us, and tag a friend under our post about The Nukes. We’ll announce the winner tomorrow (Friday, 21 September) at 6pm. The fantastic Auckland Arts Festival has announced their ‘first cab off the rank’ for AAF 2019: The Magic Flute. Komische Oper Berlin’s The Magic Flute is co-directed by Barrie Kosky and Suzanne Andrade from innovative British theatre company 1927; this production features an incredible cast and crew of 120 travelling to New Zealand from Berlin, including a 75-strong chorus and soloists. It is opera like never seen before, and has played to around 500,000 people worldwide with sensational reviews. You can read more on the Auckland Arts Festival’s website. And watch out for the full festival programme reveal, coming up in November! The Festival of Colour happens because of the huge amount of support we get from the community, from the businesses who back us as Sponsors to the private individuals who join us as Patrons and Benefactors. Wanaka is a community that owns its own arts festival! A very big thank you to the Patrons, Benefactors and Sponsors who have already committed for 2019, your early support has given us confidence in planning an outstanding programme of local, national and international arts. The team is working hard to secure some amazing acts and artists and your support will make it happen. If you would like to find out about the benefits of becoming a Sponsor of the 2019 Festival of Colour, please contact General Manager Laura Williamson on laura@festivalofcolour.co.nz. 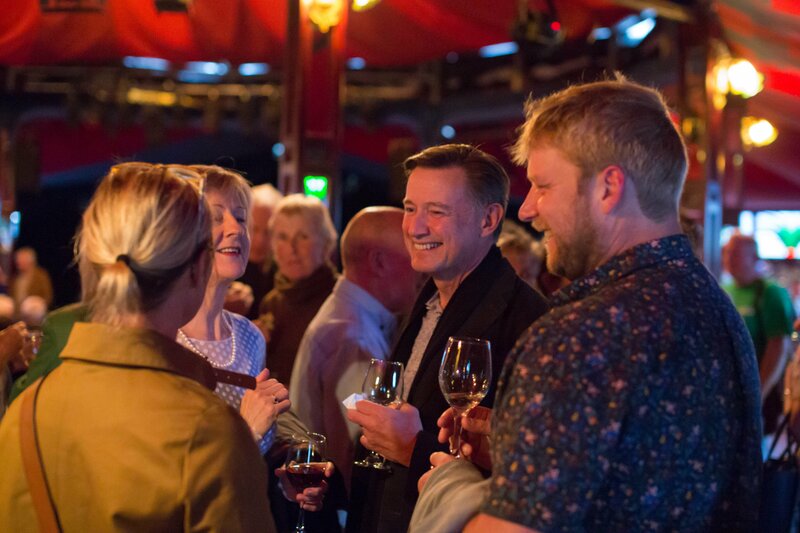 We would love to help you raise the profile of your business in our community through association with our popular event, one that is very much part of the fabric of Wanaka. Patron, Benefactor and Sponsor supporters will ensure the 2019 festival brings magical moments and unforgettable experiences to our local students, families and our arts loving community.